In the wave of enterprise development, Hangzhou Special Automobile Co., Ltd experiences the highs and lows of the market and displays its corporate culture of “Pragmatic and Innovation”. From special vehicles modification industry to smart specialized equipment industry, it has walked out a new way of innovation industry development through being initiated by technology, driven by market and pushed by culture to strengthen the competitiveness for its sustainable and sound development. Standing on a new historical stage, Hangzhou Special Automobile Co., Ltd, adhering to the concept of “People First, Technology Prospers Corporation, Honesty and Win-win Cooperation”, and the corporation spirit of “Industry Expertise Diligence while Achievement out from Specialty” will stick closely to the Chinese policy of energy conservation and environment protection, take efforts to create a good brand and show the excellent quality so as to make contributions to building a society of energy conservation and environment protection. Looking forward to the future, we are full of passionate and confidence. 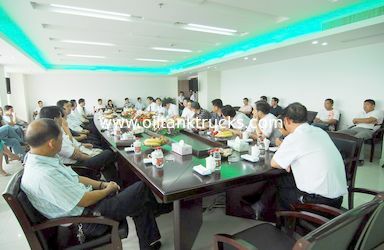 Hangzhou Special Automobile Co., Ltd would like to cooperate with people from all sectors to be more prosperity. mark: OLE_LINK8'>“Industry Expertise Diligence while Achievement out from Specialty” will stick closely to the Chinese policy of energy conservation and environment protection, take efforts to create a good brand and show the excellent quality so as to make contributions to building a society of energy conservation and environment protection. To provide safety, reliable, green and environmental protection specialized equipment. 4、Corporation Core Value：Concentrating on work to make impossibilities become possibilities while being honest to people for it only moves ourselves that can move others. Concentrating on work— being conscientious to treat each goal, project and process only to seek ways for success not excuse for failures and to make impossibilities become possibilities ultimately. Achievement out from specialty— the working spirit of Focus and Never Being Satisfied is required for each thing, project and product. To be well- planned and do enough work in every detail to become perfect. 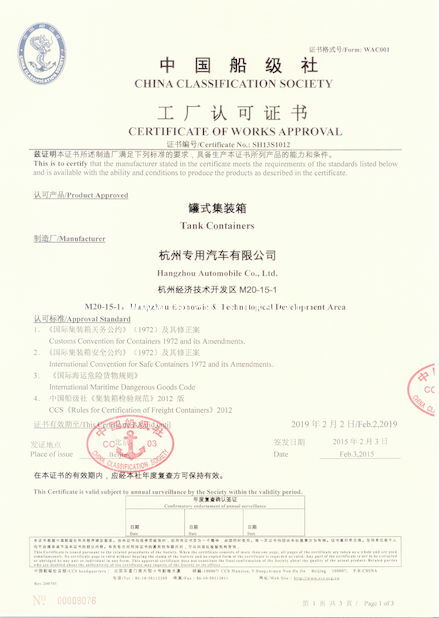 As an excellent group in China, Hangzhou Special Automobile Co., Ltd is one the TOP500 of Chinese private firms(CHINA JINGGONG) is a wholly-owned subsidiary company invested by the Committee of Hangzhou Xiasha National Economic and Technological Development Zone in 2003. 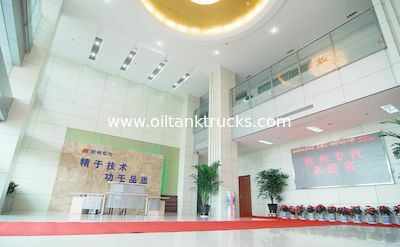 It is a large company manufacturing specialized equipment, mainly involving the researching, producing and selling of bridge inspection vehicles, specialized vehicles of pressure tank(including LNG pressure vessel) and common pressure tank, smart Stereo Garage and application equipment of integrated robot. It also owns the import and export authority, and product leasing right. 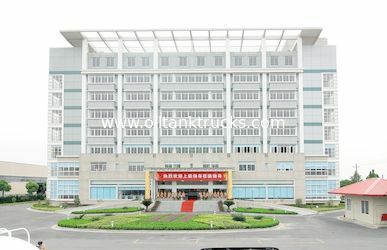 With a registered capital of 150 million RMB and covering an area of over 100 acres, it has over 39 thousand square meters modern plant, nearly 10 square meters technology incubation comprehensive building and staff apartment and more than 260 employees. Through over ten years’ efforts, it has become a renowned manufacturing company in specialized equipment industry and awarded a series of honors such as the National high-tech enterprise, Key Recommended Enterprise in Zhejiang Province, Advanced Company of Specialized Equipment Safety Management, Bone Enterprise of Hangzhou Xiasha National Economic and Technological Development Zone, Hangzhou Brand Product and Home of Outstanding Staff. The company is a council member of China Association of Automobile Manufacturers (CAAM). Under the new situation, Hangzhou Special Automobile Co., Ltd will concentrate on R&D and capital investment of specialized machinery industry with the development strategy of “Industrializing high technology and advancing the domain industries” and the employee choosing concept of “People first and Staff makes enterprise prosperous” , aiming at stepping forward to build a renowned brand of specialized machinery industry in China and an industrial base to create greater value for company itself and the society. 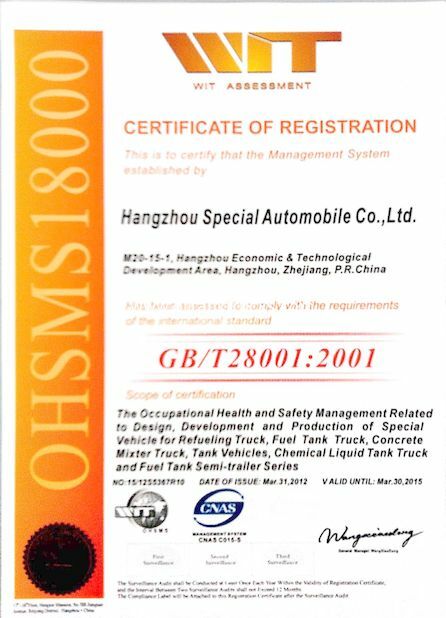 In Aug. 1954, Hangzhou Special Automobile Co., LTD. was established, started as manufactured the tank series at the beginning. 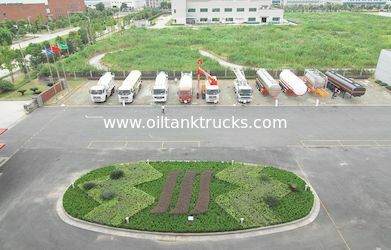 From 1954-2001, Hangzhou Special Automobile Co., LTD. as for the state-owned enterprise is committed to the development and production of tank truck, tank semi-trailer series.The company occupy a certain market share in South and East of China. In 2001 Hangzhou Special Automobile Co., LTD. transformed State-owned enterprises into private enterprise. In 2002, the company received the certificate for AAA Level of Annual Corporate Credit. 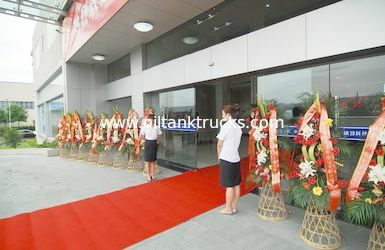 In 2003, Jinggong Group acquired and holding Hangzhou Special Automobile Co., LTD. 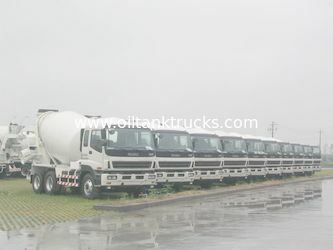 In 2004, development engineering machinery vehicles(Concrete pump truck, mixer, cement truck,etc. ), and achieved certain sales results, products sold at home and abroad. In 2005, company got the title of advanced unit for investment in Hangzhou. 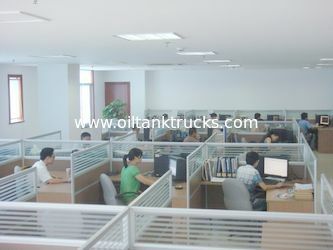 In 2006, 1st version of company website www.oiltanktrucks.com was published. In 2007, become a cooperative research and production base of Zhejiang University. In Nov. 2007, company cooperated with Alibaba, start our internet promotion in Alibaba. In 2008, won the award for the “Industry advantage characteristic enterprise” in Zhejiang Province. In 2009, attended it’s 1st international exhibition (Canton Fair) in Guangzhou. In 2010, Mr Gamal from Egypt joined company and we established General Agent in Egypt. In 2011, we attended the Concrete Show in Sao Paulo, Brazil. In 2012, we attended the Ninth China Products Fair, Jordan. This year we also obtains the title of High-Tech enterprise. In 2013, we attended the AUTOMECH EGYPT 2013 in Egypt. In 2014, we attended the CTT 2014 in Russia. In March of 2015, we signed the exclusive agent agreement with Thailand's customer(SAMMITR). 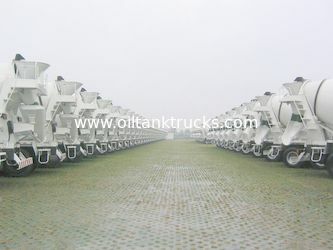 We published new promotion versions of website www.oiltanktrucks.com and http://hzzqchina.en.alibaba.com. Product services purpose: Our service aim is to continually improve the customer satisfaction, we made ​​every effort in order to meet the needs of users. Research and develop the satisfaction goods according to the needs of the user, and implement customer satisfaction project, it is the survival foundation of our company to provide customer satisfaction services. Service Process: We will provide customer with the perfect pre-sale, sale, after-sales service. 3. After-sale: We have the experts to help you when you have a problem. Our company has set up a number of tough emergency service team, on-site experienced engineers and senior technicians, arrived on the scene in the fastest time for any problems, maintenance and replacement. If you purchased the product had problems or unusual circumstances, you can be reflected to the Area sales person or complain directly to our customer service hotline, you can also write to us by E-mail or fax. We will be dealt with immediately, to give you a satisfactory answer. Our customer service personnel also can be given to the telephone or door-to-door solution that based on the actual need. One more service, the warranty period due to improper you use, or the natural environment caused by the us to provide free repair, the repair materials and accessories are charged only the cost price. The company has more than 260 employees, including engineering and technical personnel more than 30 which composed by a specialized technical team whose knowledge covers mechanics, electricity, hydraulic and automotive engineering, they involve themselves deeply in the development of special purpose vehicles. Sales personnel more than 20, after-sales service personnel more than 10, the production of more than 200 employees. Company quality policy: Quality first and the customer is highest, provide dependable and satisfied product and the superior service for customer by professional technology and superior quality.